Day 26 of NaPoWriMo: Write a persona poem. 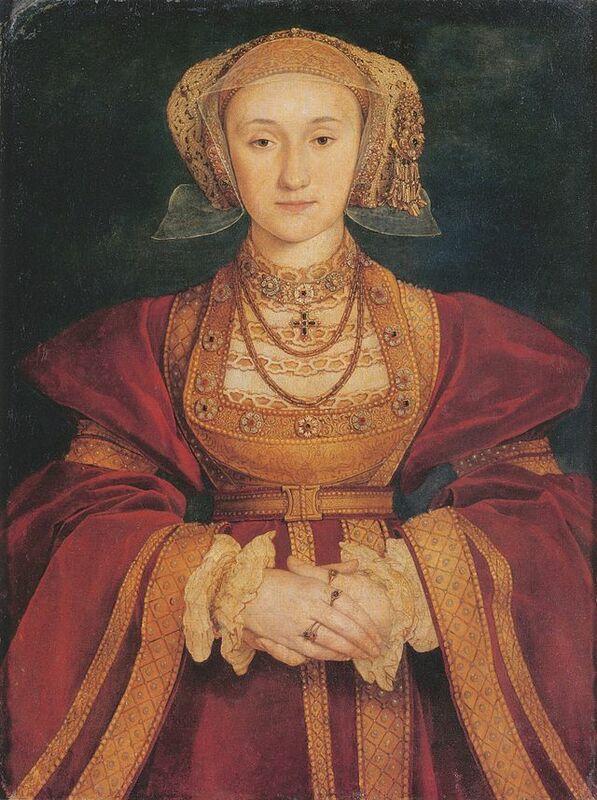 My poem is told from the point of view of Anne of Cleves, the 4th wife of Henry ViII—his wife, however, for only 6 months. The marriage had been arranged abroad by Thomas Cromwell as, at this point, Henry was no longer thought to be “a catch” and the young eligibles were fearful of being wed to a king who had three prior wives dead—one exiled, one beheaded and one dead from childbirth fever. Anne was brought to England from Flanders and Henry upon seeing her was dismayed by her looks. Since a commitment had been made, the wedding went forward but, soon thereafter, Henry found a legal way out of the marriage. Anne knew what had happened to the Queens before her so she did not object. As a consequence, she enjoyed the King’s future favor and friendship and stayed a member of the royal family as”the King’s Beloved Sister”. underneath white mounds of fat, gangrenous toes. My eye that saw him did not enchant the mind. The broken bosoms that to him belong. Yet he so calleth me the Flemish mare. not full-pale like the English maids. Castle. I did not list his double voice. The gardens are sorrow’ winds and rains. Note: Quotes and certain phrases are from various Shakespearian sonnets. Poetry at the Post: A Clerihew? Say What?